Mouthwatering deliciousness is this pork tenderloin recipe. I can�t describe just how good it is. 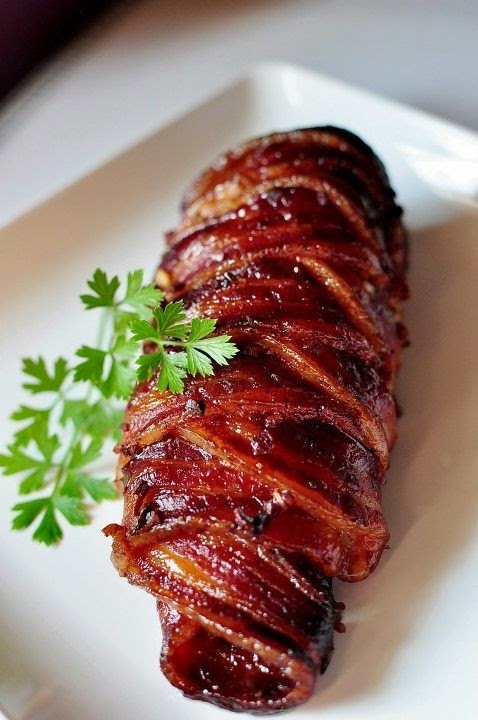 Wrap the tenderloin pieces in bacon. Place in an 8 1/2? x 11? pan. Poke holes in meat with a fork.